When I say the word “beer”, what comes to your mind? Some people might say “pizza”, while others might say “football”. Here’s another example that has nothing to do with food. A friend of mine had back problems. He had a herniated disk between his L4 and L5 vertebrae. The disk was pushing on his spinal column and causing him a great deal of pain. The only relief he could get was to hunch over as he walked so as to open the space up between the vertebrae and get the herniated disk off of the spinal column. He finally had back surgery to fuse the L4 and L5. Yet, weeks and weeks after the surgery he was still walking around with his back hunched over. He didn’t need to physically. The repair had been made. However, the wired connection in his brain that he had created over time — hunching over to release the pain — hadn’t been cut. It took him even more weeks to consciously stand up straight and start to rewire his brain. 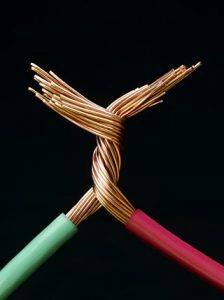 In 1949, Donald Hebb, a neuroscientist, postulated that things that we do together end up getting hard wired together. The more times we repeat an experience with the same actions, the more ingrained the behavior gets. Now that’s great if you’re talking about flossing and brushing your teeth every night before bed. But it isn’t so great when you start pairing things together that are unhealthy habits. How many people have an alcoholic drink or some other food when they get together to socialize? It almost feels like something is missing when we don’t. And, guess what? Enough studies have been done to show that the more people within that socializing group, the more food will be ingested and the more drink that will be imbibed. If you believe that some connections aren’t working for you or aren’t healthy for you, the first thing you have to do is decide they need to be broken. My telling you they aren’t good for you isn’t going to do it. This all comes from your decision-making. People attend motivational workshops in the hopes that whatever the speakers says will motivate them to do something. To “motivate” means “to move”. No one can move you except you. You may be inspired for a while from the talk you heard, but it won’t last unless it comes from within you. So, let’s assume you’re self-motivated. How do you break the wiring? If you were working with real wires, you’d take a tool and literally “cut” the wires. That’s what you’ll have to do with unhealthy habits. You have to find a way that stops you before you commit the behavior. Let’s go back to the wired connection between going to the movies and having popcorn. Before you even enter the theater or before you even leave the house, ask yourself what’s the best way to “cut the connection” of movies and popcorn. You might think that instead of having popcorn, you’ll have carrot sticks because they seem healthier. It’s not that you want carrot sticks. And, by the way, they aren’t going to satisfy you nearly as much as does the popcorn. No — substituting isn’t good enough, even though it will work. All you will have accomplished is a new wiring for movies and carrots. What you need to do first is determine whether you need anything while watching the movie. I told you what my friend with the back problem encountered. The only way he could stop the hunching over was to consciously think about what he was doing and make the decision to stand up tall. If you truly want to stop an unhealthy behavior, you have to consciously think about the behavior, decide you don’t want to commit it again, and rewire the circuits. And if you consciously decide to have the popcorn, you’ll do it because you aren’t on automatic pilot. You DECIDED to have it. Not that you blindly ate it without thinking about it.